View the San Diego Tide Table for NOAA Tides Prediction for San Diego and La Jolla in Southern California. These tide schedules showing predicted daily high tide and low tide can help you plan your day at the beach. Know the daily San Diego tides for the best beach walking, surfing, scuba diving and more in San Diego, La Jolla, Coronado, Imperial Beach, or North County (including Solana Beach, Del Mar, Encinitas, Carlsbad and Oceanside CA). The NOAA predicted San Diego tide tables 2019 are available. See the monthly San Diego tide tables below. National Oceanic and Atmospheric Administration (NOAA) is a federal agency focused on the condition of the oceans and the atmosphere. They provide the official predicted tide schedules and tide charts for San Diego, La Jolla, San Clemente and other locations in southern California. These tide tables have been reproduced here for your convenience. Caution: Actual San Diego tides can vary from tides prediction depending on current weather conditions, such as when a Surf Advisory is in effect. These San Diego tide predictions are provided for your convenience with no representation that they are accurate or reliable. Your safety is important. The July 2019 tide table will be posted later. The August 2019 tide table will be posted later. The September 2019 tide table will be posted later. The October 2019 tide table will be posted later. The November 2019 tide table will be posted later. The December 2019 tide table will be posted later. 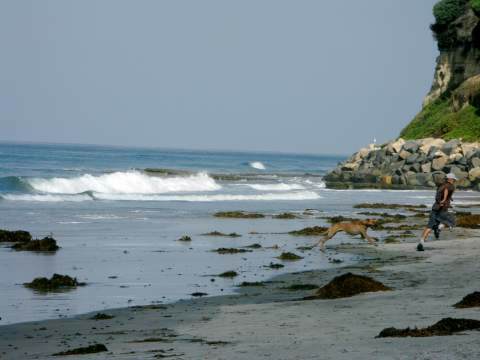 NOAA predicts the tidal ranges (high and low tides) for these locations in or near San Diego California: Imperial Beach, California Point Loma, CA San Diego, Quarantine Station San Diego, Calif. (Broadway) National City, San Diego Bay Quivira Basin, Mission Bay Crown Point, Mission Bay La Jolla (Scripps Institution Wharf) San Clemente, Cal. For official San Diego tide predictions, see the official NOAA website www.noaa.gov. Here you can choose the location, days, and either a tide chart or tide table.